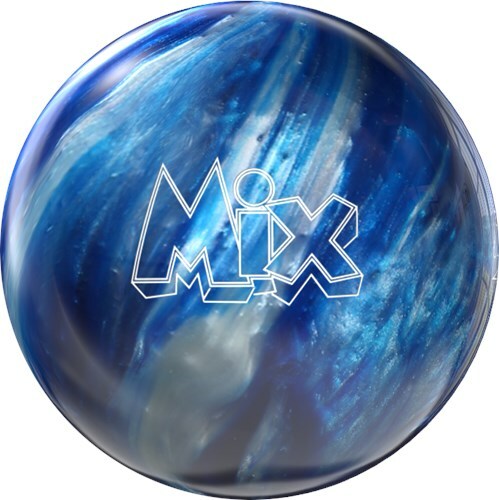 Storm is really MIXing it up with the Storm Mix Blue/Silver bowling ball. This ball is ideal for a bowler who needs a colorful spare ball. Since this is a urethane ball it can also be used as a strike ball due to it working best on desert dry conditions. Mix things up with a Storm Mix! how do ensure. that the basic drilling is done for left handed? i dont see anywhere to add that comment to my order... thanks. Since this is a plastic/spare ball, you do not need to specify for a left or right handed. This ball will bowl straight. Due to the time it takes to produce the Storm Mix Blue/Silver ball it will ship in immediately. We cannot ship this ball outside the United States.